Speaking about how she maintains radical imagination amid darkness, the founding national director of Black Youth Project 100 (BYP100) explained: “I’m not free of sadness, free of anxiety, free of despair. That stuff is super present for me. It’s about moving through that and not getting stuck in it." One of Charlene Carruthers’ earliest memories about power comes from her visits with her mother to the public aid office in Chicago for food stamps or cash assistance. She recalls entering a “colorful and always noisy” room full of Black and brown women, many of them with children. The front desk “was placed on high, and even then the symbolism of this was evident to me, and I found the arrangement uncomfortable and odd,” Carruthers writes in her new book, Unapologetic: A Black, Queer, and Feminist Mandate for Radical Movements, published last month by Beacon Press. In that spirit, Unapologetic offers Black organizers a framework from which to draw inspiration, purpose, and strength. It stands apart from other books about movement work by offering guidance to Black youth organizers who are in today’s liberation movement, or who are seeking to join or learn more about it and its Black queer feminist praxis from one of its progenitors. BYP100 is a member-based organization for Black youth between the ages of 18 and 35 focused on transformative leadership development, direct action organizing, advocacy, and education. Like Black Lives Matter, BYP100 was originally a hashtag—in this case, for the 2013 “Beyond November Movement Convening” developed by longtime Black feminist activist and political scientist Cathy Cohen. Created after the acquittal of the man who shot and killed 17-year-old Trayvon Martin, the organization has led some of the most significant actions defending the dignity of Black people, such as the #StoptheCops and #FundBlackFutures campaigns; it currently has chapters in Chicago, D.C., Detroit, Durham (NC), Jackson (MS), New Orleans, New York City, and the San Francisco Bay Area, along with a national membership for young people who are outside of those regions. “While BYP100 had not even existed when the assault took place, our organization and its leaders chose to be accountable to the survivor and broader community. In the … transformative justice process, I came to realize what it meant to embody Black queer feminism as a praxis.” That meant not disowning members, but instead practicing compassion for their community. “All too often our responses to our people mirror our responses to the state. Our comrades should not become our targets,” Carruthers writes. It is in the “Reviving the Black Radical Imagination” chapter that the author reminds readers how Black people have always found a way to see beyond the violence inflicted upon them. She discusses an analogy shared by the legendary Cicely Tyson of a ladder that represents the world’s social order and places Black women below white men, white women, and Black men, on the last rung. Black women “are being trampled on by all those three above, and still we hold on. That’s our strength. That’s the reason we survive—because we will not let go of that rung,” said the actor. “We’ve never accepted that the bottom rung is where we will remain. And that’s where the Black imagination lives. It lives in our ability to create alternatives, whether those are alternative economies, alternative family structures, or something else entirely,” writes Carruthers. This space where the Black imagination lives is where tools for collective liberation are born, Carruthers explains. 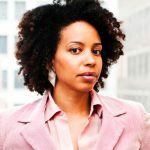 It’s where strategies are designed to create transformative change, “meaning change that dismantles oppressive systems and fundamentally shifts power into the hands of communities.” Carruthers writes that this change takes time, but notes a shift is under way and it is very clearly being led by young Black abolitionists. Collective action over individualism is a crucial precursor to collective liberation. 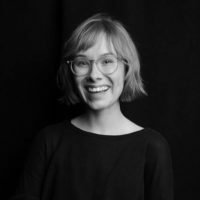 “There are things that we could do as individuals and there are things that we can only do as a collective group of people, and creating transformative change is one of those things,” she said. BYP100 is one such village. And after five years, Carruthers is transitioning out from her national director position and welcoming two co-directors, Janaé Bonsu and D’atra “Dee Dee” Jackson. Training for people leading right now includes strategic communications and “teaching people how to facilitate a meeting and giving them space to do it. Those things are the building blocks of organizing,” said Carruthers. The book offers numerous case studies on how young Black people are working to fulfill the mandate for Black people, as espoused by Southerners on New Ground Co-Director Mary Hooks: to avenge the suffering of our ancestors; to earn the respect of future generations; and to be willing to be transformed in the service of the work. At the same time, it acknowledges that the Black liberation movement must continue to grow and evolve, and in many ways speaks to future generations about how the task of reimagining must continue to address unforeseen circumstances of today. “Nobody gave [BYP100] a plan,” Carruthers told Rewire.News. “We had to figure it out, just like generations before us.” And the same will be true of future generations. Fortunately they have one more guide in the canon of radical Black organizing books to lead them—to lead us—to collective liberation.